Reservin Armenia keeps presenting bright musicians' interviews that give concerts in the city. 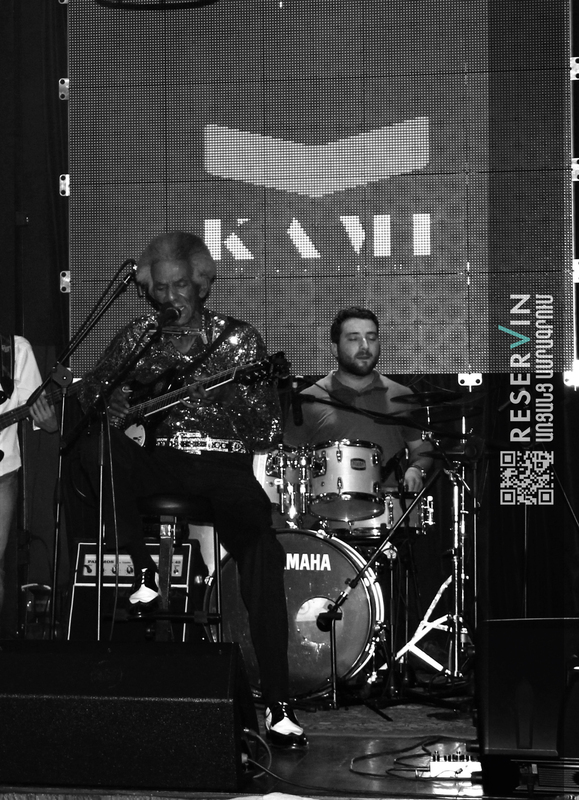 This time our journalists Marie Sevoyan and Meline Tonoyan met and interviewed the live legend Lil Jimmy Reed. 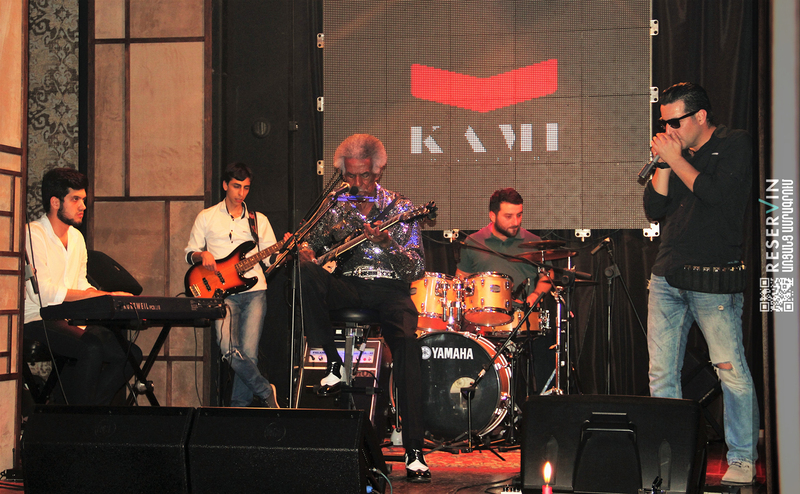 He was invited to Armenia by Kami Music Club. 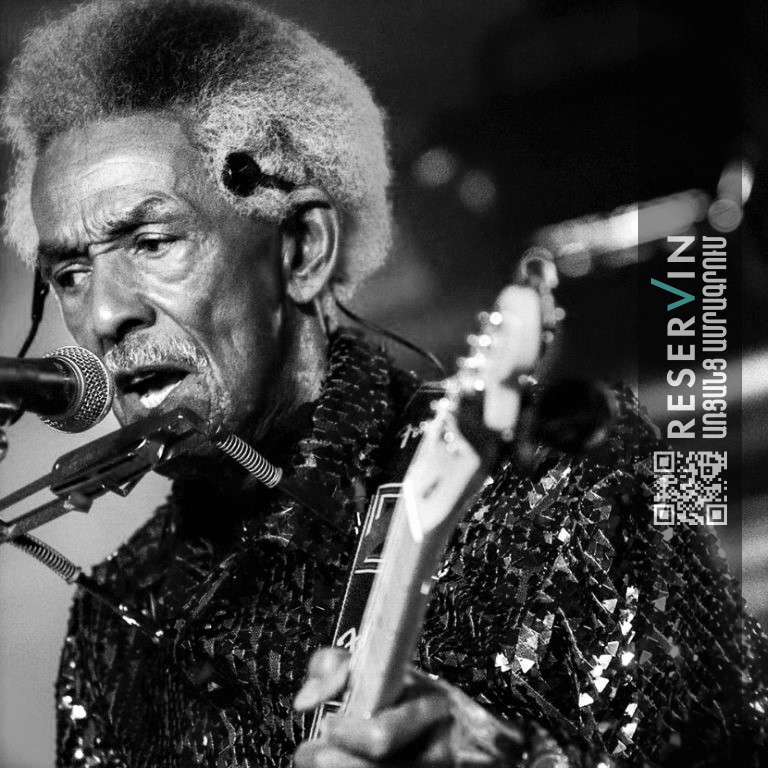 Lil Jimmy Reed’s real name is Leon Atkins. 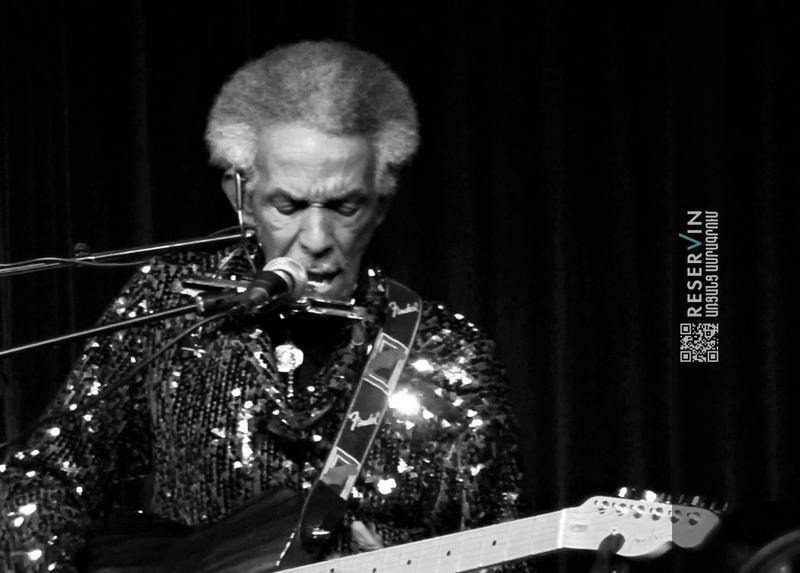 He is one of the brightest American electric blues artist. Many famous musicians starting with Тhe Rolling Stones ending with The Beatles were inspired by his music. During his youth when he did not have any musical education he performed on the same stage with legends like B.B. King and Bobby Blue Bland. Тhe Alabama Blue Society nominated him in Тhe Alabama Blue Treasure Award in 1995. 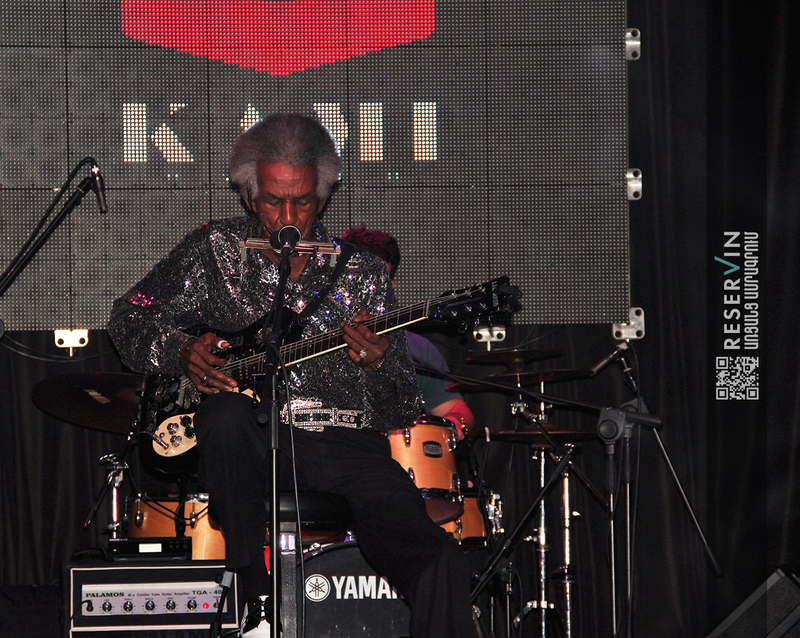 He won the nominee of the Best Blues Harmon Player by West Coast Blues Hall of Fame. Mr. Reed’s name was put on Alabama Blues Hall of Fame. You can read the exclusive interview with Mr. Reed’s during his visit to Armenia below. Reservin,- Welcome to Armenia։ What is your first impression? Reservin,- You were born in small city Harwood. How did you leave it and started travelling and performing around the world? What is the key to your success; did you ever think that you’re going to become a legendary artist? Jimmy,- I haven’t done anything special. One day I started playing and now I’m here. I am not a legend I’m just a musician who loves his profession. I performed in so many places; big stages, clubs, nursing homes. (Laughs) The luckiest day was when the real Jimmy Reed came to our town. He got drunk and could not perform. I knew all his songs and could imitate him, so I performed with his band as if I was him. The audience liked it, they did not notice any difference. He used to blow on the microphone and play the guitar- I did the same. I saved the concert. Unfortunately, I have never got to see him but that day changed my life. It gave birth to my career. Reservin,- If you had a chance to change something in your past, what would it be and why? Lil Jimmy Reed,- Hmm, yes, I would probably dont marry. (Laughs ), but if seriously, I wouldn’t change anything, I had an amazing life and enjoyed every moment: Although, I wish I could’ve changed one little thing. The men who took notice of my talent made a little guitar from a cigar box. It symbolized the relationship between talented person and music. It was such a notice from their side. I loved it but it vanished with time. Wish I didn’t. Reservin,- You did not take any music classes; apparently you had a pure talent. When did you feel the urge of singing blues? Lil Jimmy Reed,- Well, one day my dad got home with some money and asked me and my siblings what we wanted. They asked for a ball, a baby doll and I don’t know what made me say guitar. I started playing from that day. Reservin,- You also served in Army for 20 years. Did it change you as a person? What was that time period like for an artist? Lil Jimmy Reed,- It did not affect me at all, it even helped me. Everywhere I went during that time I played music. I played in Alaska while stayed there for 11 years. Reservin:- Does blues ever take you back in time? Do you travel back with the memories? Lil Jimmy Reed- When I play the blues I have a rush of memories. I walk around the hall while performing. So, it is interactive for the audience. Do you like blues? Reservin,- Yes, It is jazzy and lively. Lil Jimmy Reed,- Then you must stay to see the concert. Reservin,- Thank you, We will stay with pleasure! Do you have any expectations from today’s performance? Are there any surprises for today? Reservin,- Thank you a lot. We wish you a great performance.